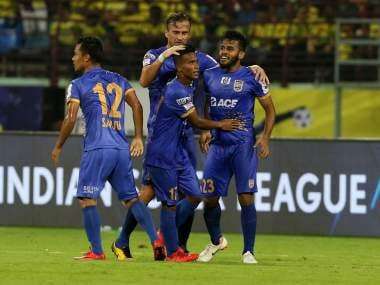 Kochi: Pranjal Bhumij scored a stoppage-time goal to help Mumbai City FC hold hosts Kerala Blasters to a 1-1 draw in the Indian Super League (ISL) on Friday. Halicharan Narzary's 24th-minute strike looked to have put the Blasters on course for three points but Bhumij came up with a long-range stunner in stoppage time to rescue a point for the Islanders. Having beaten ATK away from home in their opening match, Blasters' coach David James named an unchanged XI for the clash with Matej Poplatnik and Slavisa Stojanovic continuing to lead the line up top. 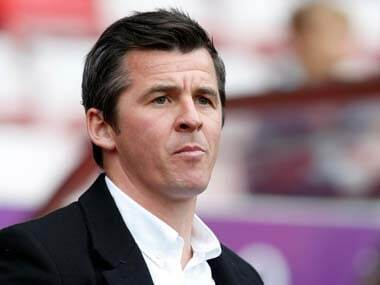 Jorge Costa, on the other hand, made as many as four changes to the side which lost to Jamshedpur FC with Raynier Fernandes, Sehnaj Singh, Arnold Issoko and Shouvik Ghosh being drafted into the playing XI. Kerala Blasters began well with an excellent low cross by Seiminlen Doungel from the left-flank in the third minute which found Narzary but Mumbai custodian Amrinder Singh placed himself well to deny the Kerala winger. The hosts continued to threaten the Mumbai goal with their two wingers looking particularly lively and they got a deserved lead in the 24th minute. A brilliant back-heeled pass by Krcmarevic released Doungel into the box and the right-winger cut the ball back to an unmarked Narzary. The left-winger took a touch to set himself up before slamming a fierce left-footed shot which beat Amrinder at his near post. The visitors were camped in their own half for much of the first-half with Poplatnik causing them all sorts of problems with his movement. With their attack isolated, Costa's men failed to create any clear-cut chances as the Blasters took a one-goal lead into the interval. James' men maintained their supremacy at the start of the second period with Doungel blasting one wide over the bar after being set up by Lalruatthara. The Islanders grew into the game slowly with Issoko particularly enterprising on the right flank. But an off-colour Rafael Bastos did not help their cause as moves broke down in the final third. Issoko found himself in some space in the box towards the hour-mark after being released by Raynier Fernandes but the Congolese's shot failed to trouble Dheeraj Singh in Blasters' goal. Costa hooked Paulo Machado to bring on Matias Mirabaje in a bid to find a creative spark as Kerala looked to Keziron Kizito and Courage Pekuson to shore up things. 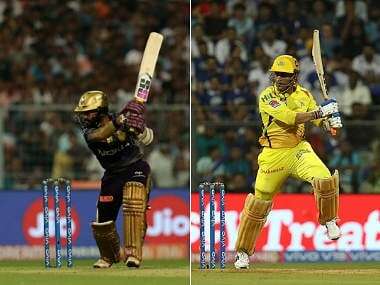 Mirabaje did add some impetus to Mumbai's attacks after coming on but clear openings continued to evade the visitors. It was the hosts who continued to look the more effective with Keziron looking particularly threatening on the break. Stojanovic should have doubled the Blasters' lead in the dying minutes after finding acres of space in the Mumbai box following a cross from Pekuson. However, the Serbian forward failed to get a clear connection to the ball after taking a wild swing. At the other end, Dheeraj's failure to deflect a high ball meant Modou Sougou had the goal at his mercy but his shot on the turn went wide. 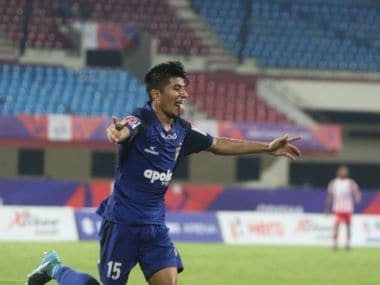 Blasters' wastefulness came back to bite them in added time with 19-year-old Mumbai substitute Bhumij drawing parity with a sensational strike from distance that gave a fully outstretched Dheeraj no chance and rescued a point for Mumbai City.